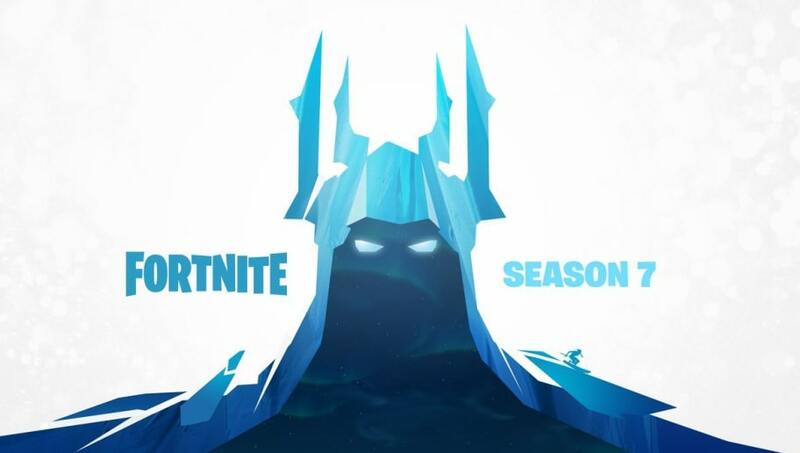 A Fortnite Season 7 teaser was revealed by Epic Games on Monday, hinting at an epic skin and some sort of ice theme. Fortnite Season 7 is the main focal point for the Fortnite community as players wait for Season 7 to begin. Monday's teaser was the first released by Epic Games, which usually puts out two or three before the season starts. The teaser actually reveals a lot more than one would first guess. First off, we know that some sort of ice storm is on the way to Fortnite's map. And it looks like it will spread throughout the season. Most likely the teased "Ice Castle" will be the focal point. Secondly, the "creatures" left shoulder has somebody skiing. With Epic Games creative approach to movement in Fortnite, it wouldn't be a surprise that players can ski in certain parts of the map. Thirdly, the skin itself which will most likely be the tier 100 version of a Battle Pass starter skin. "Ice King" anyone? With only three days away, players only have a few more days to work on the Season 6 Battle Pass before the tiers and prizes are gone forever. Or until they appear in the store.